Daniel D. Johns is Of Counsel in the Kalispell Commercial and Litigation Departments. His practice focuses primarily on representing and counseling employers in areas of traditional labor law (e.g. NLRB and matters related to labor organizations), unlawful discrimination, sexual harassment, wrongful termination, compensation issues, and personnel policies. 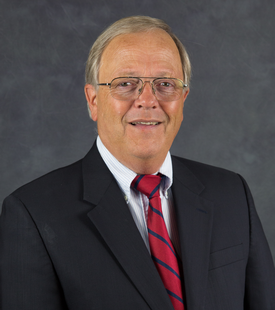 Mr. Johns also has experience in commercial, real estate and real estate development issues. After practicing with an Indianapolis, Indiana law firm whose work focused on labor and employment issues, Mr. Johns moved his practice home to Montana in 1979. Mr. Johns is a member of the Northwest Montana, State of Montana, and American Bar Associations. The Crowley Fleck law firm is the Montana representative in the Employment Law Alliance, and Mr. Johns is its contract attorney for this international network of labor and employment lawyers who are dedicated to assisting employers.